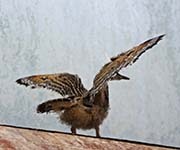 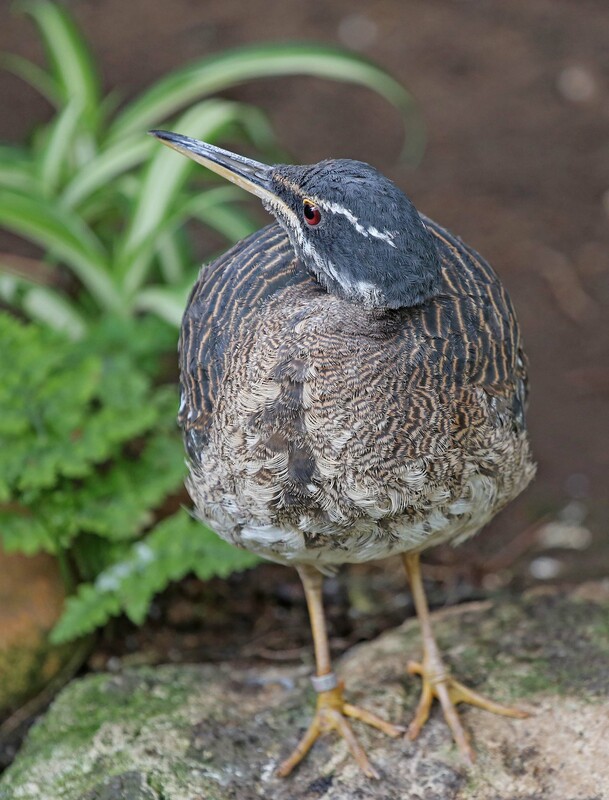 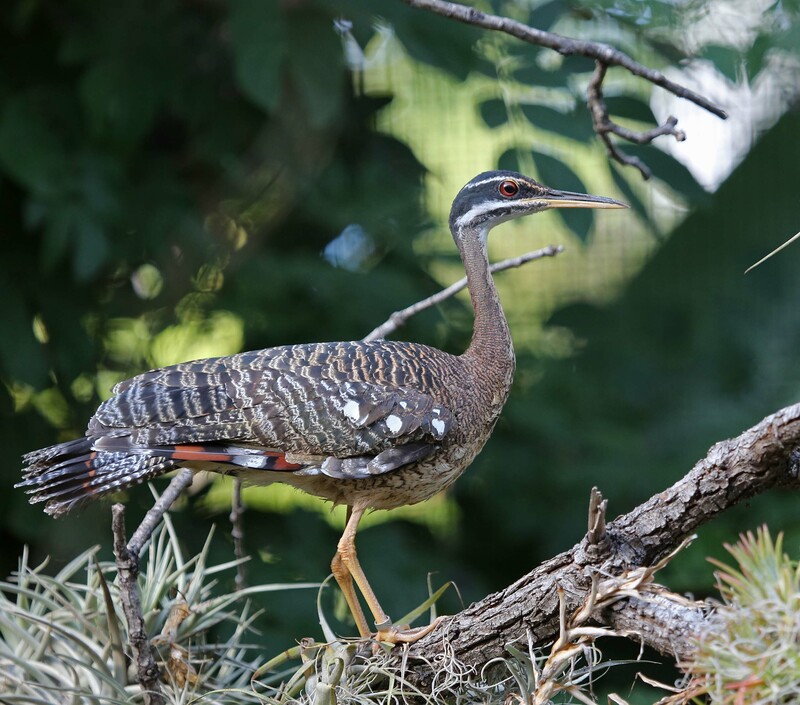 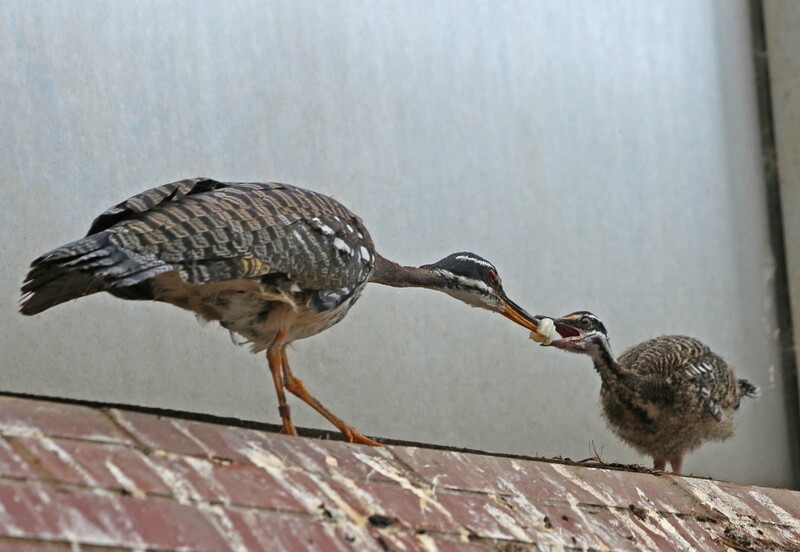 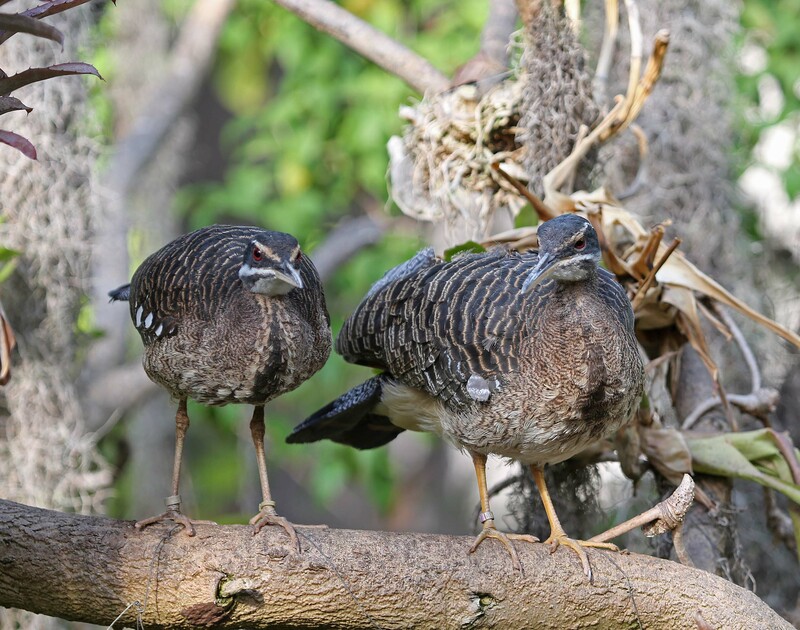 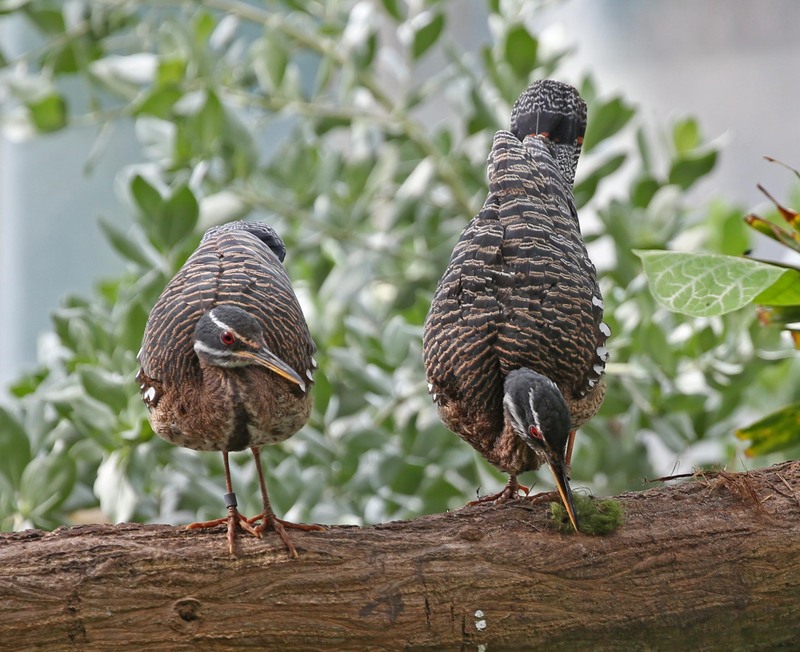 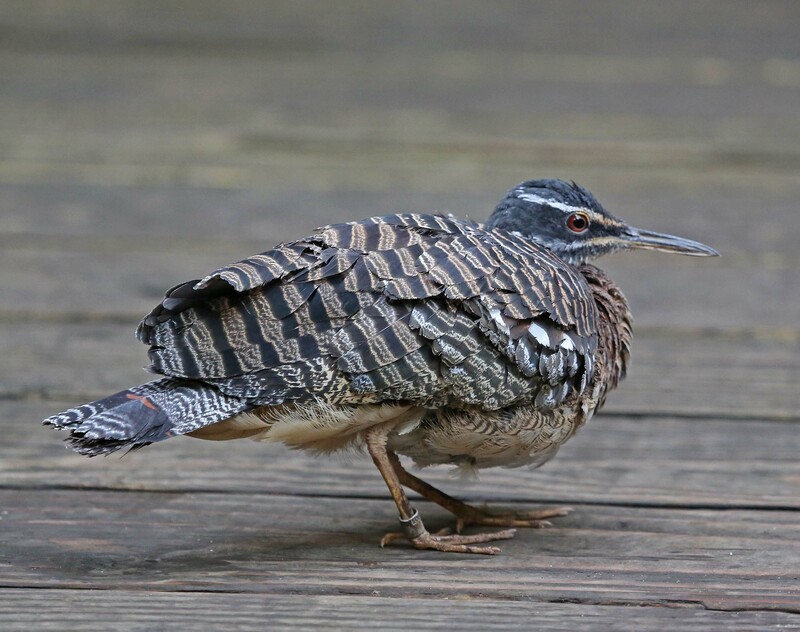 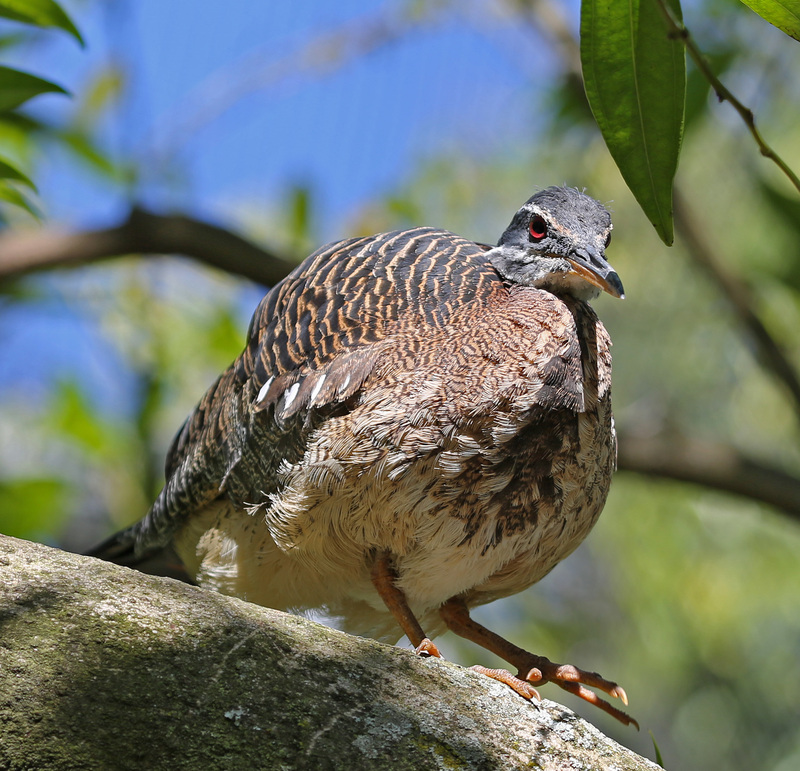 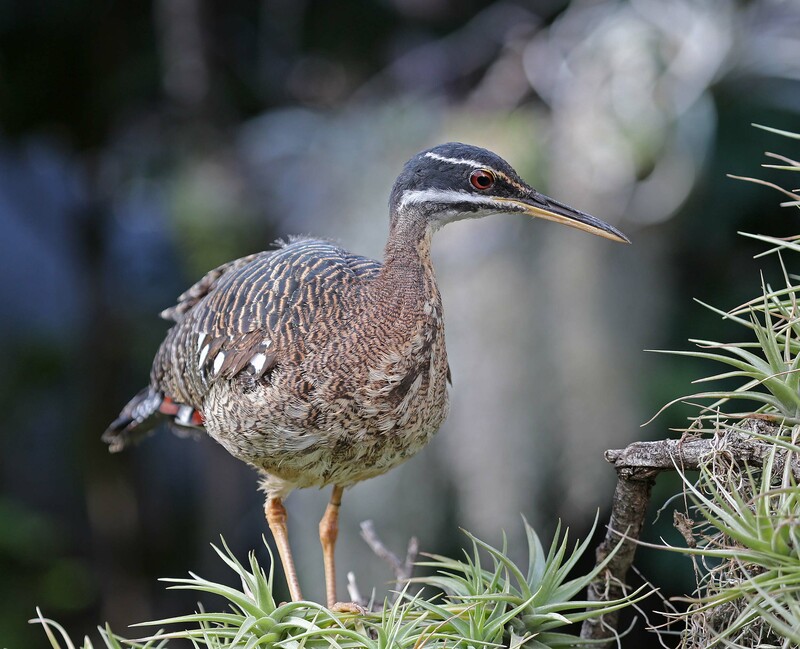 The Sunbittern is found in tropical regions from Mexico to southern Peru. 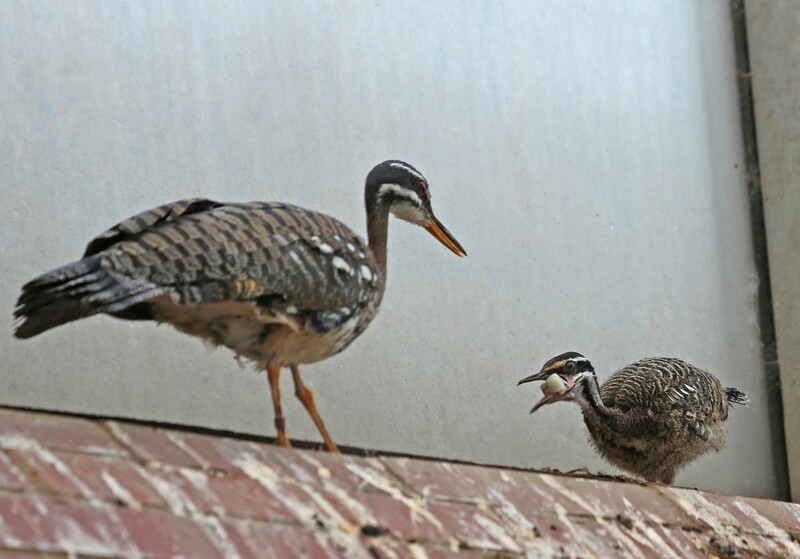 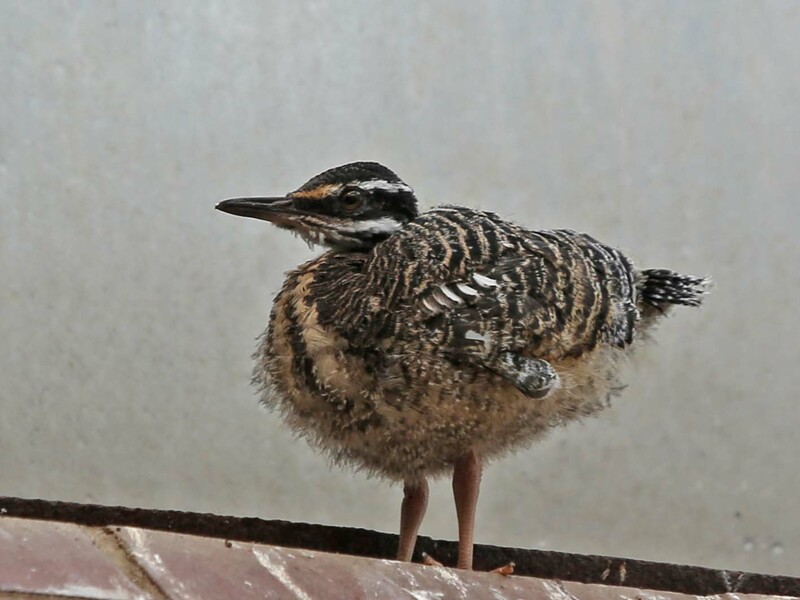 There are three subspecies of Sunbitterns. 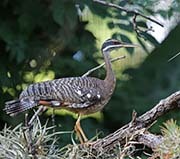 Males and females look similar but there are small differences in the feather patterns of the throat and head. 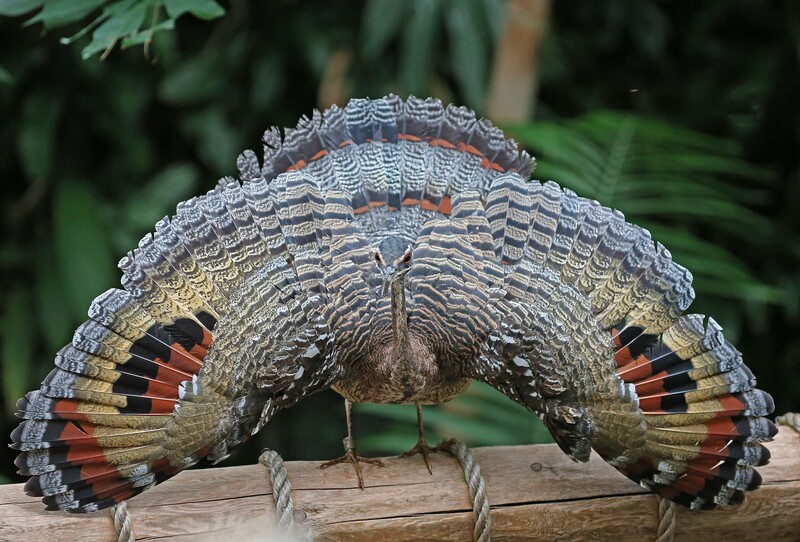 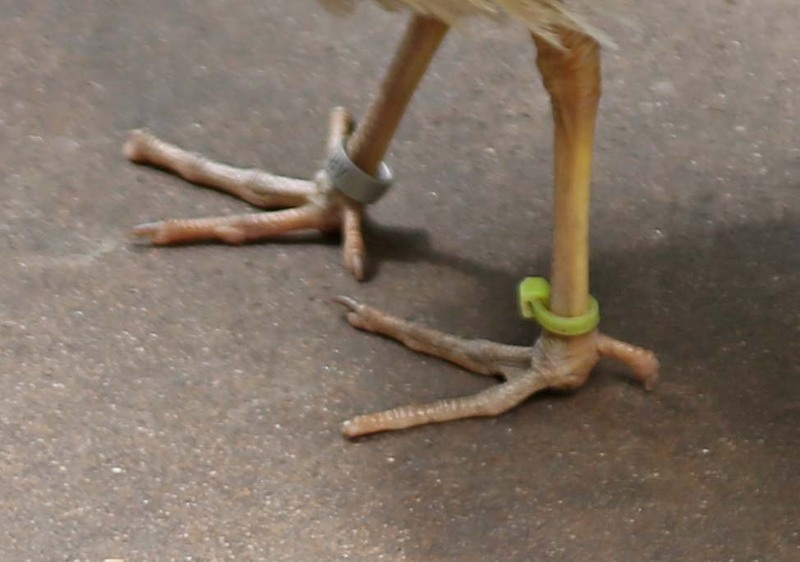 The most fascinating aspect of their plumage is when they spread their wings either for courtship or threat displays. 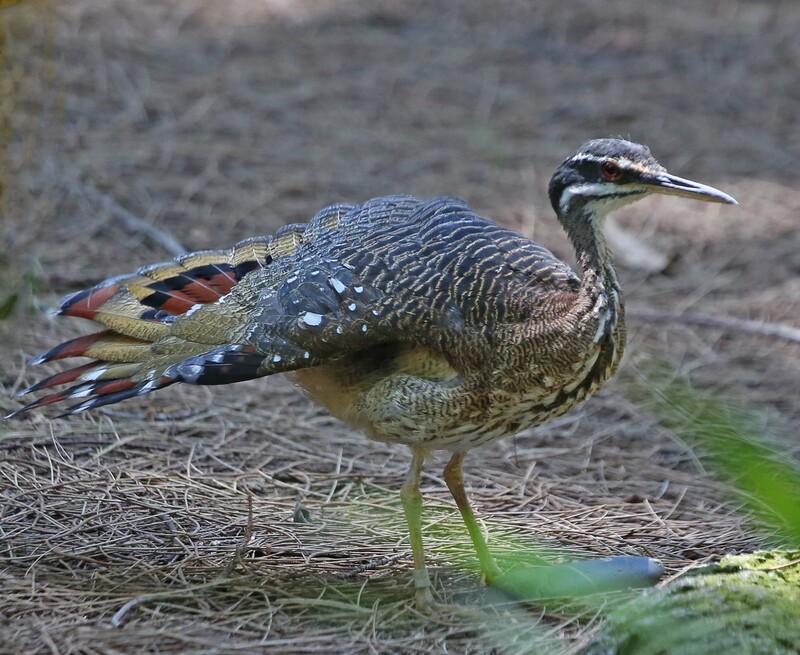 The somewhat plain bird has vividly colored wings with bright eyespots in red, yellow and black. 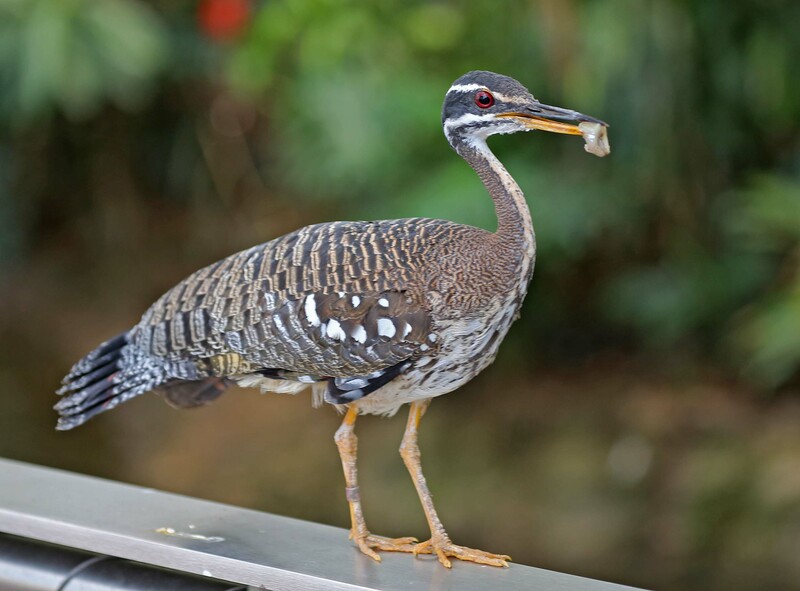 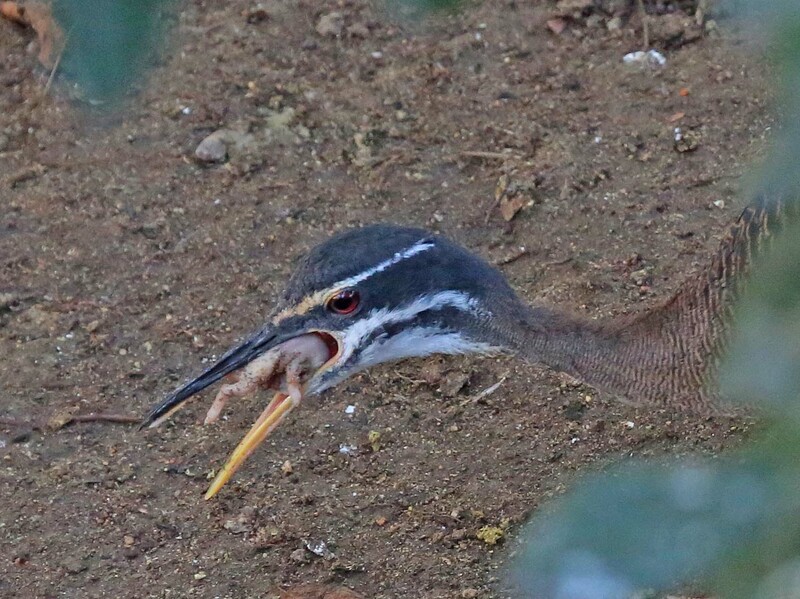 Sunbittern do not migrate and forage on the ground for insects.